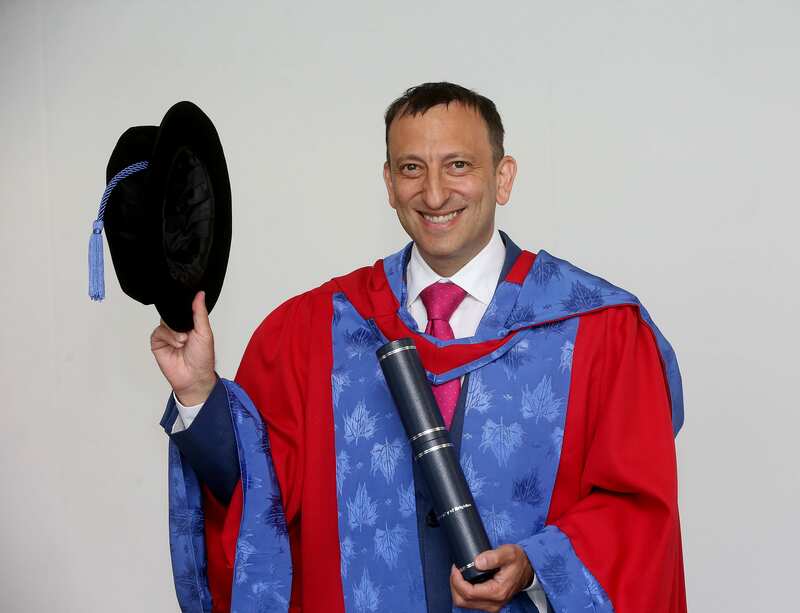 Tony Bloom took over Brighton & Hove Albion because of his lifelong passion for the club – not for business reasons. He said he was faced with a stark choice – to take over the club, finance the building of the “wonderful” Amex stadium and to cover the operating losses, or “the club would be no more”. There was a cry of “Seagulls” from the audience as Mr Bloom received his Doctorate during graduation ceremonies at the Brighton Centre. The award was in recognition of his impact on the community and major contribution to business in the city of Brighton and Hove. In addition to Mr Bloom’s financing of the Albion he has made a number of investments, providing seed capital to start-up businesses in several sectors. He is Chair of the Bloom Foundation, his family charitable foundation. Alongside other activities, the foundation supports community and educational initiatives in the Brighton area. He is also a trustee of the charity Overcoming Multiple Sclerosis. Mr Bloom grew up in Brighton and supported the Albion from the age of six, attending matches with his father, brother and grandfather Harry, who was Vice-Chairman of the club. A successful international poker player he has pursued his interest in sports betting as part of a wider business portfolio. Mr Bloom studied maths and said he always encouraged people to be positive and to think big – similar advice, he said, given to staff and students by the University in its ‘Vision and Strategy’ policy. 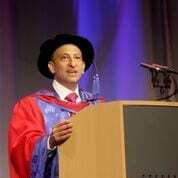 Mr Bloom said he has combined his interests in maths with sport: “I realised that applying mathematics and complex algorithms to sport, alongside those other subjective techniques, allowed me to assess the probability of sporting events more accurately than the markets. “Naturally, this was a significant advantage when it came to bett ing on sport. Mr Bloom said there comes a time to be bold, an easier decision when someone is young with less to lose and with so much energy and enthusiasm. 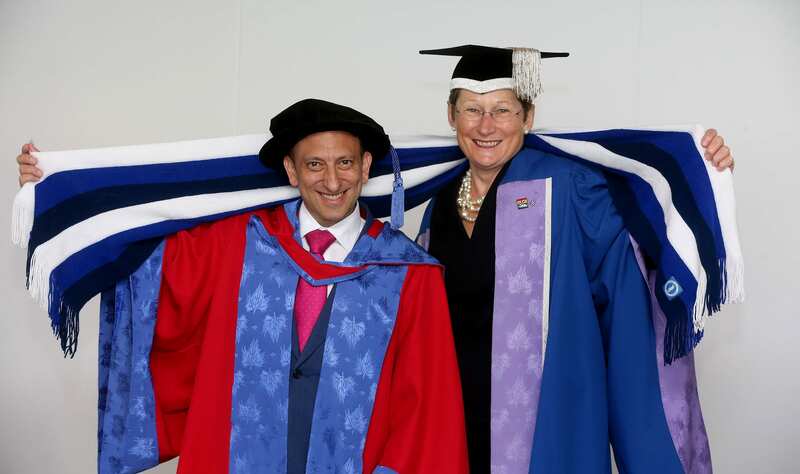 He told graduates: “The University of Brighton encourages its students to be bold and I would echo that advice as you embark on your careers. This entry was posted in Sport courses by Kerry Burnett. Bookmark the permalink.